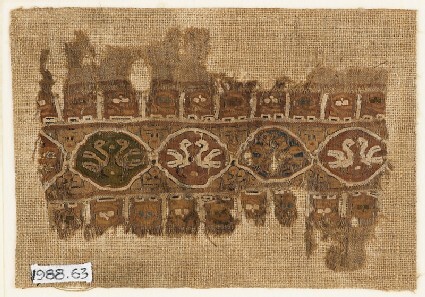 A tapestry band is woven in rust red, green, yellow, and blue silk and white flax, with linked medallions containing pairs of birds that face each other. The medallions are in white outlines and filled with red, green, and blue. 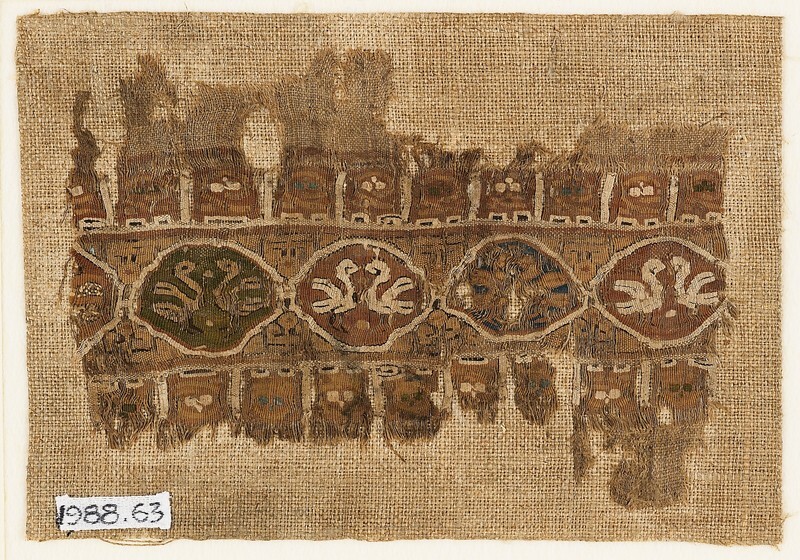 This small tapestry-woven fragment reveals the degree of continuity between the Coptic and Fatamid textile production in Egypt. 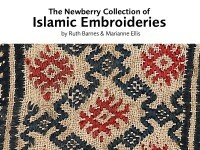 Stylized scrolling motifs in alternating colours depict lobed palmettes and pairs of facing birds, a motif often used on Fatimid textiles as well as other media.